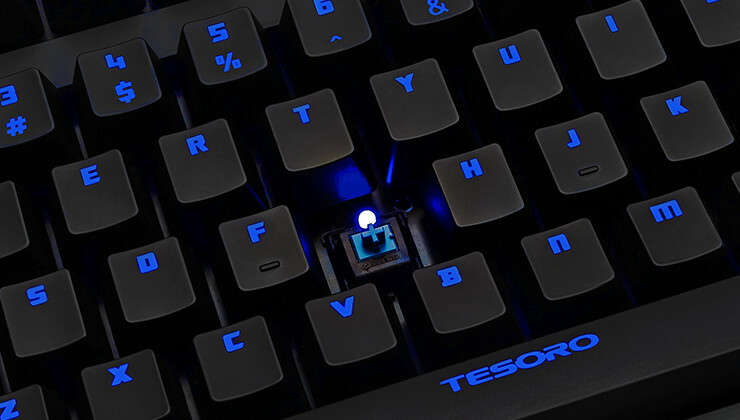 August 21, 2014, Milpitas CA, USA – Tesoro Technology USA Inc., a manufacturer of high-tech gaming products, today announces that the Tesoro Excalibur LED backlit mechanical keyboard is now available in North America. Named after the legendary sword of King Arthur, the Excalibur offers gamers the power of switchable N-Key Rollover(NKRO) for full- anti-ghosting functionality or USB 6 N-Key Rollover. Depending on the requirements, , users can press any and all keys at the same time without worrying that some key may not be registered. A fast 1000Hz polling rate helps makes sure no keystroke is missed, and with instant game mode switching, users don’t have to worry about accidental key presses taking them away from the action. With 512kB of onboard memory, the Excalibur allows gamers to instantly record sophisticated macros without need of external software. A user-friendly GUI allows for advanced macro settings. Personalized settings are stored in the built-in-memory allowing the keyboard to be fully synchronized for better performance and even during tournaments, where it is prohibited to install external software. Additionally, every single key is fully programmable, allowing for 5 sets of profiles, 300 macro keys and 2000 macro key presses per profile. The Excalibur looks as good as it plays with 4 levels of LED backlighting with dimming and 5 levels of on-key LED illumination. Keys can also be individually illuminated. Embedded multimedia keys make it easy to control your music straight from the keyboard. An anti-slip rubberized foot design keeps the keyboard in place during the most intense gaming. 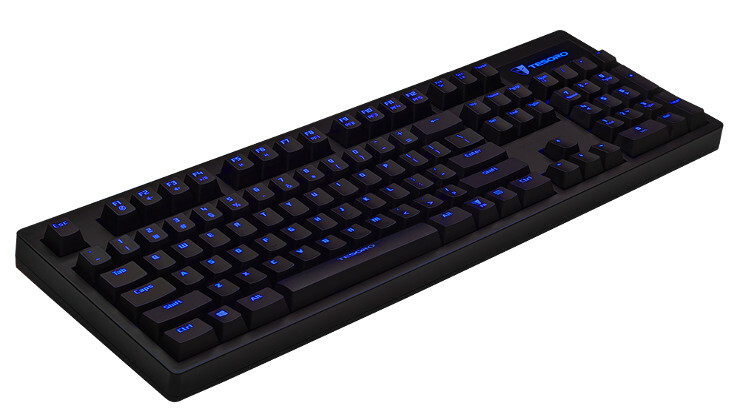 The Tesoro Excalibur LED backlit mechanical keyboard will be available by the end of September via all major retailers for the suggested retail price of &#8356;65 / €79. *EDITOR'S NOTE: It's not clear which brand of mechanic switch the Excalibur uses, images of the key housing are difficult to make out.